Photo courtesy Lingerfelt CommonWealth Partners LLC. 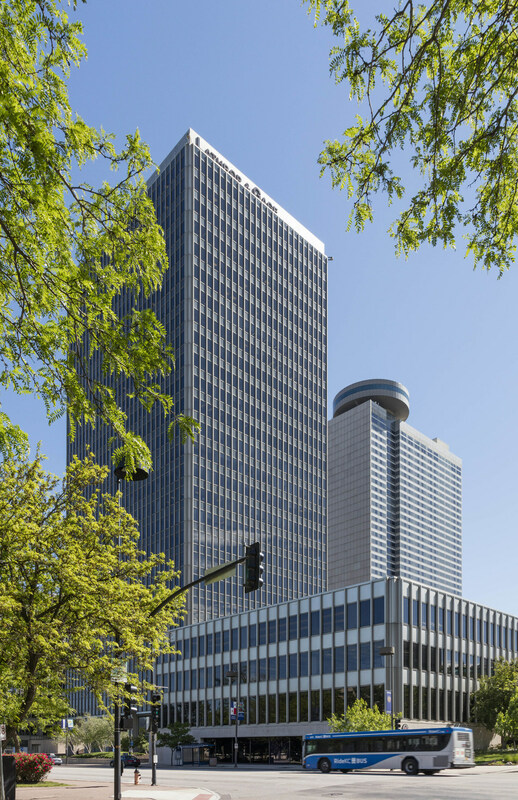 Richmond-based Lingerfelt CommonWealth Partners LLC has acquired a 28-story office tower in Kansas City, Mo., in a joint venture with Boston-based CrossHarbor Capital Partners LLC. The building is located at 2345 Grand Boulevard, a 538,741-square-foot, Class A facility in downtown Kansas City's Crown Center submarket. Financial details on the transaction were not disclosed. The property includes a subterranean parking garage and an adjacent four-story annex building. Designed by legendary architect Mies van der Rohe, the building was developed by the Shorenstein Co. in 1977. The tower is about 73 percent occupied. Its anchor tenant is the corporate headquarters of the national law firm Lathrop Gage. Lingerfelt expects to make a significant capital investment in the building during the first year of ownership. Plans include a renovation of the lobby and lower-level community common areas, as well as a reconfiguration and renovation of the ground-floor retail portion of the annex building. Commercial Partners, Lingerfelt’s property management affiliate, will handle all aspects of the day-to-day asset and property management. Cushman & Wakefield will handle the leasing and marketing of the building’s available space. Lingerfelt is a real estate investment management firm, which has built, acquired and managed nearly 20 million square feet of commercial real estate valued at approximately $2 billion in the mid-Atlantic and Southeast.